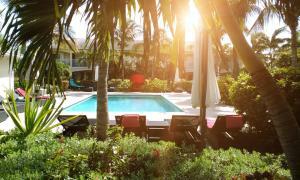 ﻿ Best Price on The Atrium Resort in Providenciales + Reviews! Located a 15 minutes’ drive from Providenciales International Airport, this island resort features an outdoor heated pool, hot tub and fitness center. 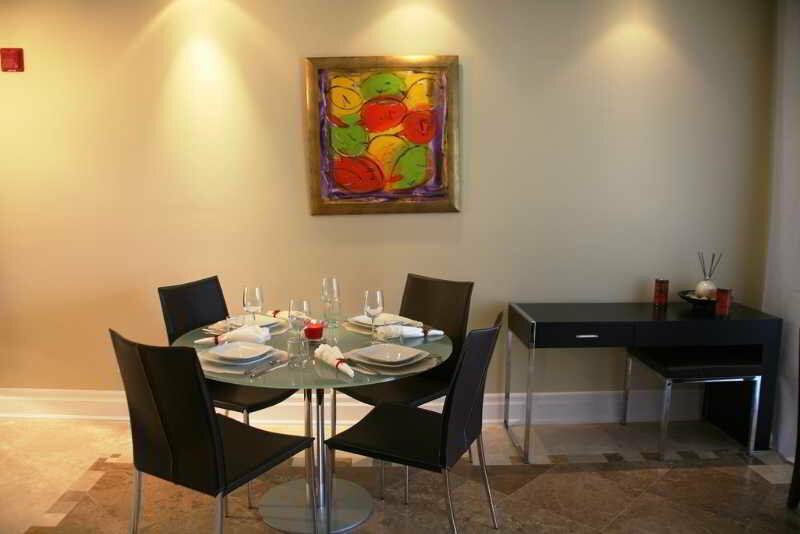 The Atrium Resort’s rooms offer a patio or balcony, with the exception of suites. 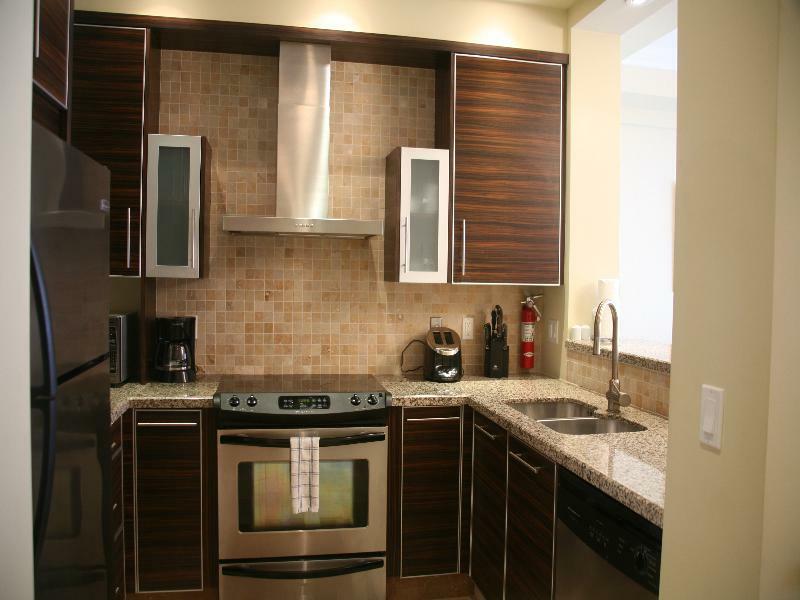 The modern studios, suites and apartments provide a fully equipped kitchenette or kitchen and a living/dining area. They have a flat-screen satellite TV along with a spacious bathroom with a separate bathtub and shower, suites have a shower only. All rooms also feature a front-load washer and dryer. The Atrium Bazaar is the onsite convenience store at The Atrium Resort, which offers a variety of cold beverages, selection of fine wines, beer, and spirits; as well snacks, essential items, and travel size convenience items. Ayur Spa is a full-service onsite spa, which offers a variety of treatments, including Ayurvedic treatments, massage therapies, facials, yoga, body treatments, eye brow threading, waxing and henna tattoos. 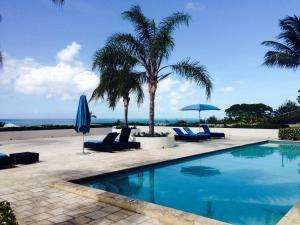 Located in a gated community in Leeward, this resort is less than 5 minutes’ drive from Provo Golf and Tennis Club. Upon check-in photo identification and credit card is required. All special requests are subject to availability upon check-in. Special requests cannot be guaranteed and may incur additional charges. Please note that the front desk is open from 10:00 until 17:00 daily and has after hours security for further assistance. Please inform The Atrium Resort of your expected arrival time in advance. You can use the Special Requests box when booking, or contact the property directly using the contact details in your confirmation. Guests are required to show a photo ID and credit card upon check-in. Please note that all Special Requests are subject to availability and additional charges may apply. Nice apart hotel with good facilities in the apartments, but restaurant and coffee shop were closed during my stay. The nearest restaurant is a 5 minute drive away and the main area for restaurants, shops and bars 10 minutes drive away. You would definitely need a hire car. The amazingly beautiful beach is a 5 minute walk away. We really enjoyed our stay and will be booking the same for next year. 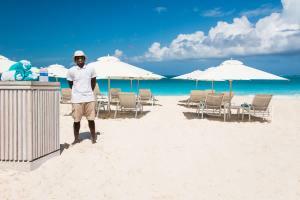 Beaches were amazing with a private section for guests with an attendent for water and chairs. Fabulous snorkeling right from the beach. Food was pricey (as with most islands, everything is flown in)but a great grocery store is nearby and the kitchen has basic equipment for making meals in the room, if that is your thing. Minimal charge for a mid week cleaning and on-site laundry make this the best value for a relaxing holiday.